DESCRIPTION This corner unit condo has perhaps one of the finest locations in the complex! Also includes TWO underground TITLED parking stalls. Enjoy your morning coffee & sunrise on your east facing patio or wait until the afternoon to take up the sun on your south facing patio! The spacious kitchen offers SS appliances, modern white cabinetry, eating bar, glass tiled back splash, under cabinet lighting & a pantry. A centred dining area, desk nook & living room with direct access to the east facing balcony complete the open concept layout. The master bedroom features a walk in closet, 3 pc ensuite & a glass sliding door to the south facing patio. 4 pc bath, second bedroom with ample closet space & en suite laundry perfectly situated within the home. Entertaining is made easy on your wrap around patio that offers a gas line for BBQ & more than enough room for a patio set or take advantage of the green space just off of your patio. Ample visitor parking provided for your guests. Conveniently located just steps away from a ball diamond, large green space, K-4 school, walking paths, transportation, & amenities are nearby. 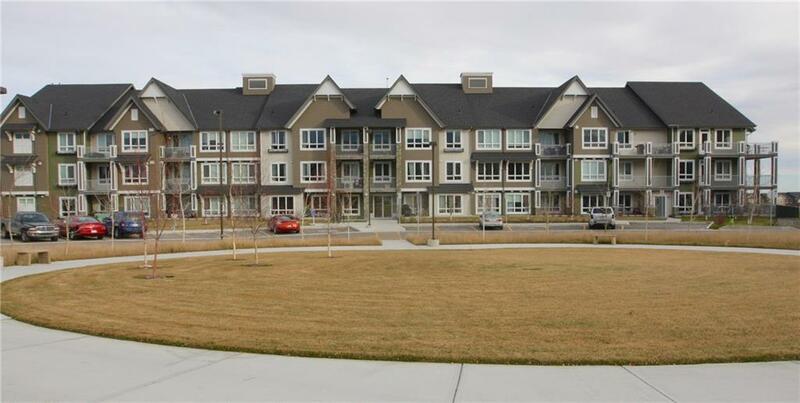 Home for sale at #3104 175 Silverado Bv Sw Calgary, Alberts T2X 0V5. 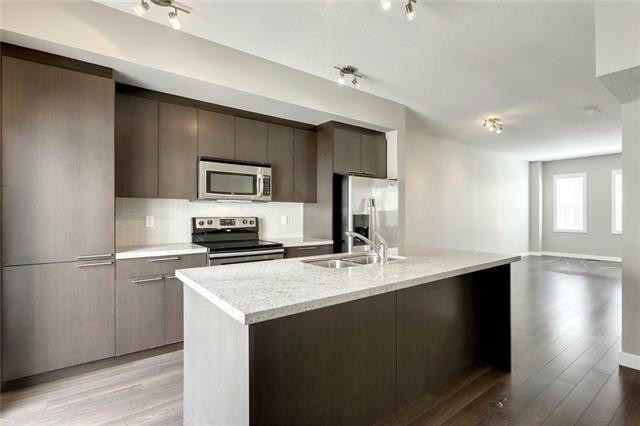 Description: The home at #3104 175 Silverado Bv Sw Calgary, Alberta T2X 0V5 with the MLS® Number C4224828 is currently listed at $269,800.